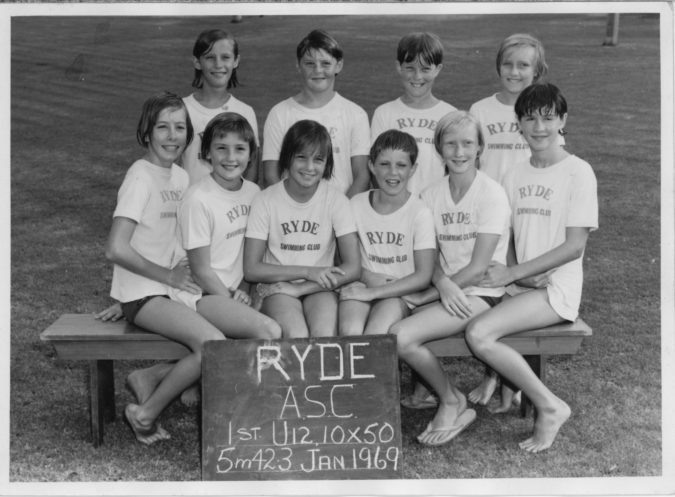 Ryde ASC – Fanny Durack Relay 1969. Can you find Jenny? Jenny’s early swimming career began in primary school when she commenced training sessions at Ryde pool under the guidance of Forbes Carlile’s coaching team. Jenny continued to swim competitively until around 16-17 years of age, swimming up to 13 sessions per week. Her major achievements during this period were attaining a top 3 spot in world placings at age 10 for the 100m and 200m Butterfly and 200m Individual Medley, medalling at State and National championships and being selected on the State team, in 1974 for winning the Age 200m Butterfly and placing third in the Open 200m butterfly. Born to race! Jenny Whiteley is the current FINA World Record holder for the womens 50m freestyle for her age group. After a break from swimming, Jenny felt the urge to swim again and at 26 years of age, joined the Ryde AUSSI Masters Swimming Club (RAMS) and has been a member for 33 years. Jenny has enjoyed participating in Masters swimming. Ten years ago, Jenny also branched into Pool (Royal) Lifesaving and has participated in International meets, achieving masters’ world records in this discipline. 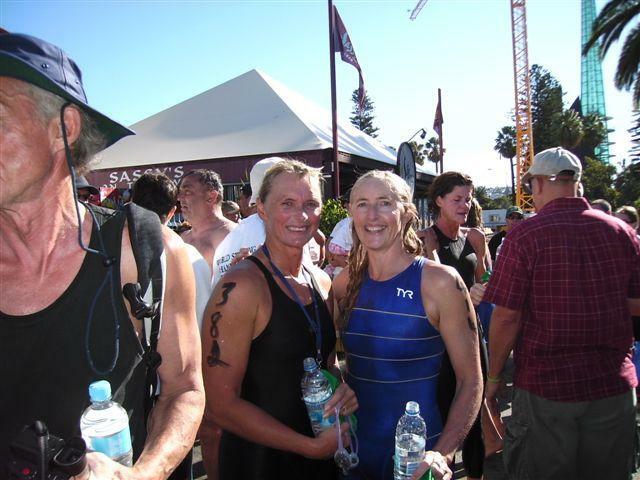 Shane Gould (L) and Jenny Whiteley (R) after the open water swim at FINA World Championships in 2008 in Perth. Some of Jenny’s achievements spanning across her Masters Swimming career include: being the first Australian swimmer to be inducted into the International Masters Swimming Hall of Fame, achieving multiple World, National, Pan Pac and State records across several age groups, Masters Swimmer of the Year, NSW and Australian Masters Athlete of the Year and being awarded Life Membership of the Ryde AUSSI Masters Swimming Club. Jenny Whiteley set to race back when full suits were allowed. 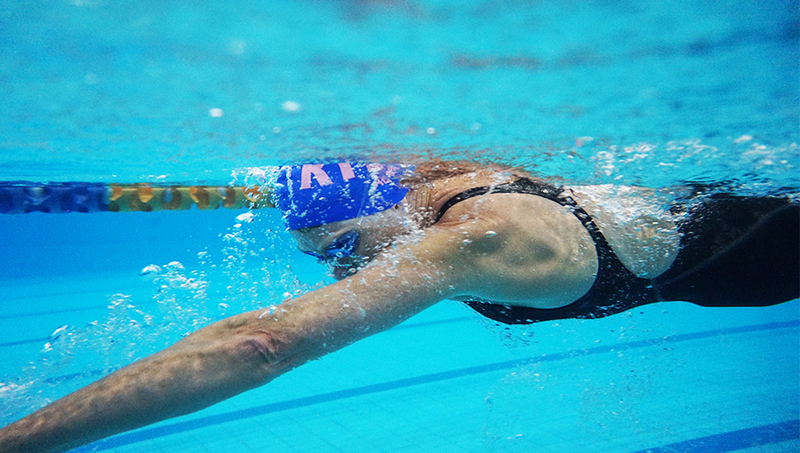 Masters Swimming has motivated her to keep a healthy lifestyle as well providing a competitive environment for the many hours spent in the pool training. Breaststroke and freestyle are her favourite strokes but she is happy to swim in most events, including open water swims. 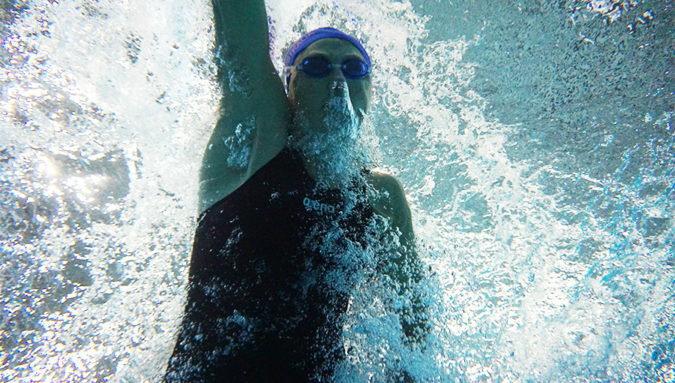 This year, Jenny has increased her training sessions and has ‘tweaked’ her breaststroke allowing her to feel stronger and more efficient in the water, resulting in some pleasing swim times.